Fall’s MVPs (most valuable patterns, that is) are largely classic this season, with a hint of romantic-modern thrown in for good measure. Their common thread? They offer versatile styling options while retaining distinctive character—and, for the most part, have incredibly rich histories. Striking motifs like plaid and houndstooth have the power to carry an outfit with symmetry, contrast, and scale. Buffalo check is an easy, no-fail pattern to choose for weekend outings and dinner gatherings alike. Florals add a moody twist with carefully chosen palettes, while pinstripes resurrect a vintage elegance that flows seamlessly into contemporary closets. Scroll through the patterns below to inspire your fall wardrobe, and save the solids for another time. This classic motif is an obvious choice when it comes to your fall staples. Originally worn for regional identity in Scotland, it’s now become somewhat of the unofficial uniform for fall. To modernize your look while staying loyal to this tried-and-true style, just scale up—because this season, the trend is to go bigger and bolder. You’ll find oversized plaid on everything from button-downs to joggers and jackets, along with every accessory imaginable. Pair it with small-scale patterns if you’re feeling daring, or go with a neutral solid for balance. This essential pattern—timeless, rugged, and ready for anything—immediately conjures up images of the great outdoors. But here’s a fun fact to bust out at happy hour: While buffalo check is often thought of as a classic American Western motif, it made its way to North America via Tartan origins. Like most famous designs, this pattern goes way back, but it’s worked into contemporary wardrobes with serious frequency. And why not? It’s dapper, bold, and masculine, which checks all of our outfit boxes. 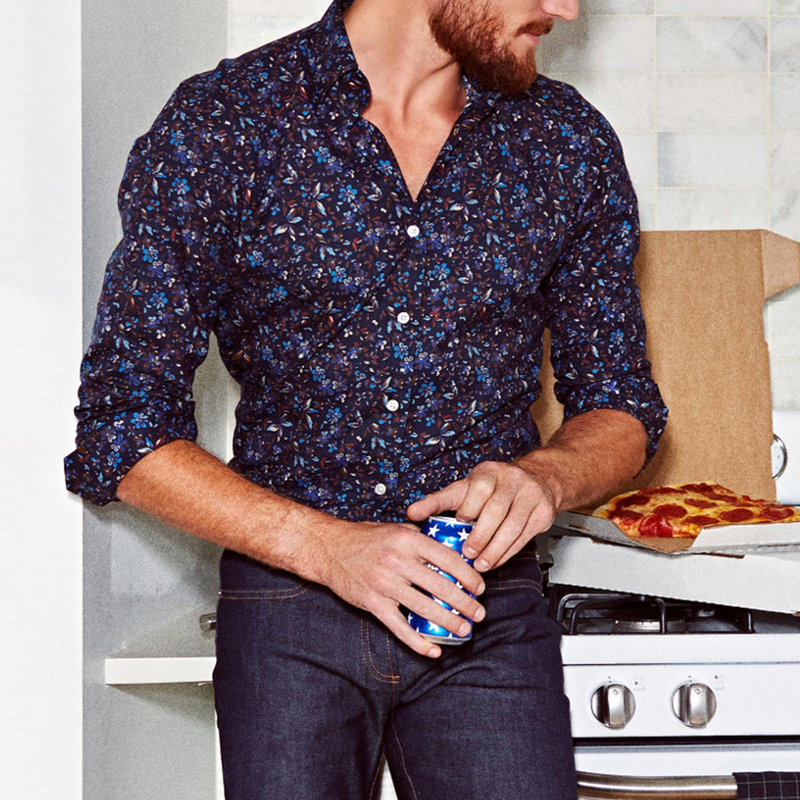 Florals are already a major menswear “do” in our book. They bring texture, color, and interest to our summer ensembles, but they’re no longer relegated to the warmer months. Branch outside of your standard tropical flower prints and step into a world of moody, cool-weather florals. 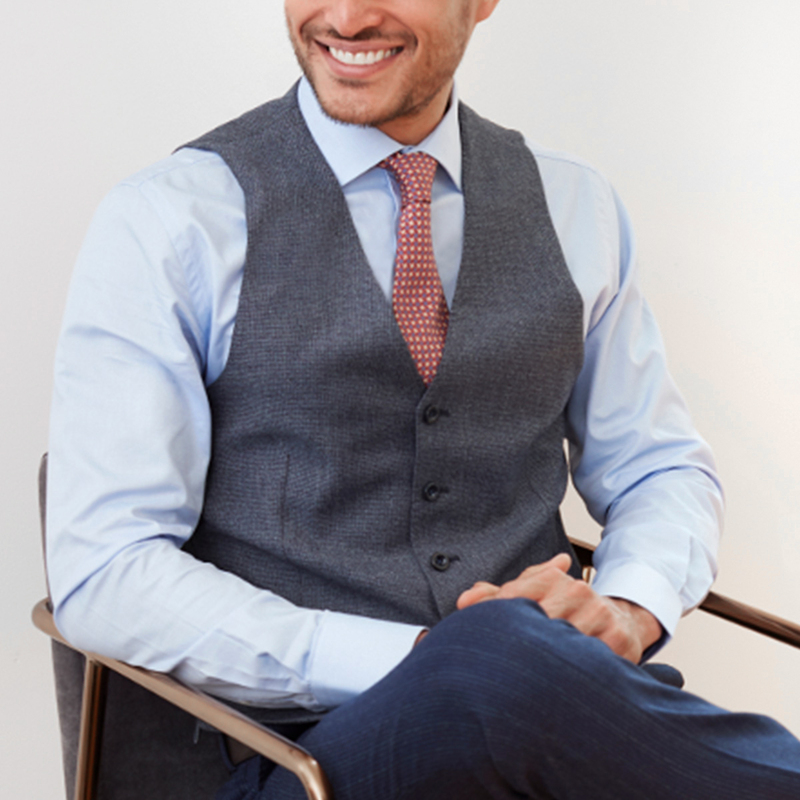 This elegant trend may have transferred over from womenswear, but in menswear it can transform the most basic silhouette into a handsome ensemble, complete with unexpected romance and whimsy. It’s the most modern trend happening this fall. It doesn’t get more classic (or classy) than pinstripe garments. Named after—you guessed it—its pin-thin design, this elongating pattern has been popularized through the years by everyone from baseball players to mobsters. 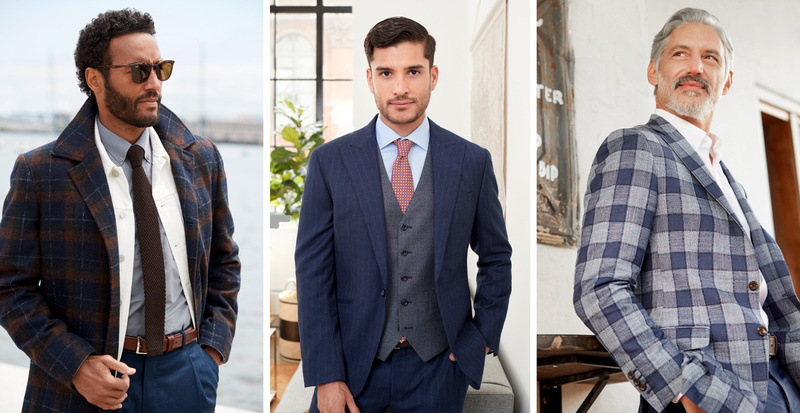 There is much debate about where pinstripes originated from, but safe to say it’s traveled in enough circles to solidify itself as an essential pattern to have in your fall rotation. 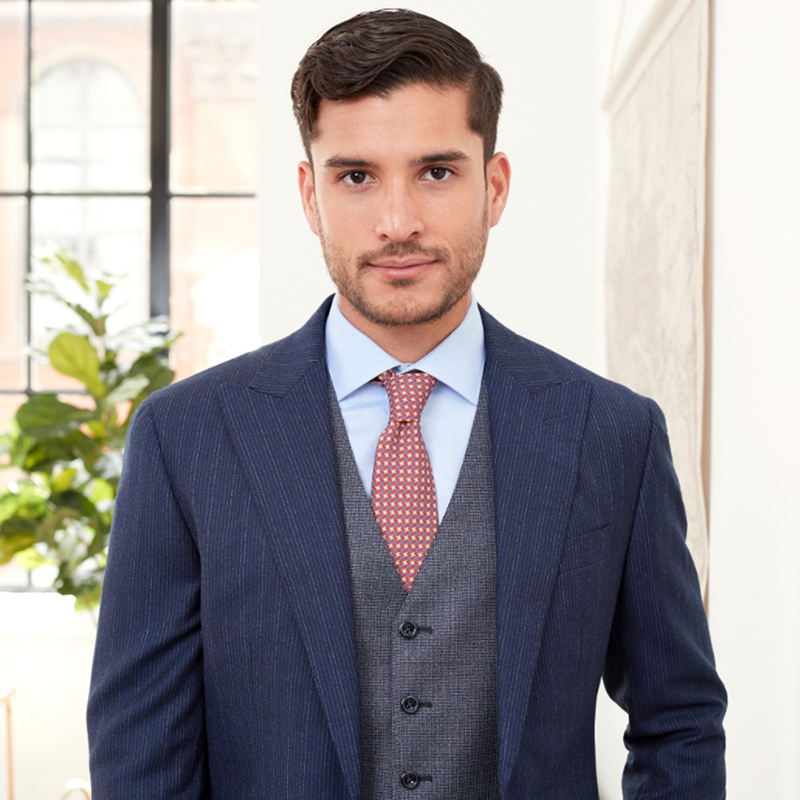 Typically worn in men’s suiting and outerwear, the pinstripe has assumed a stylish new role in the modern man’s closet by adapting to contemporary silhouettes. This timelessly popular textile is created by weaving alternating bands of dark and light threads. The resulting pattern is a runway mainstay. If you’re looking for a motif with a rich history, this is it. Contemporary houndstooth is believed to have originated in the Scottish Lowlands, though swatches of it were discovered in Sweden as early as 360 B.C. Eager to bring this striking design into your 2018 attire? 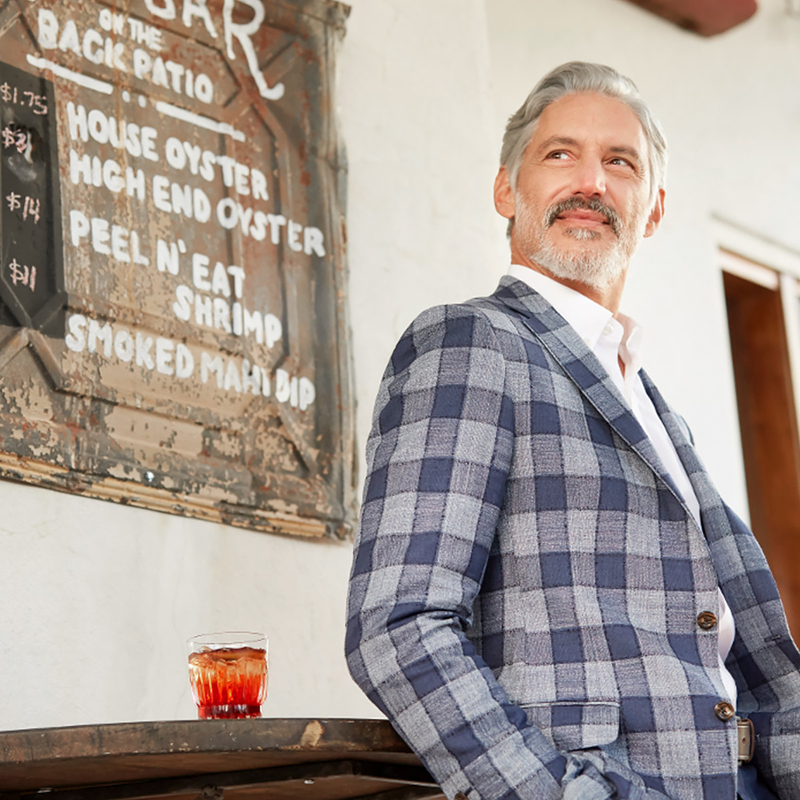 A micro-scale houndstooth—also known as puppytooth—looks smashing on a sport coat or waistcoat, and can even be paired with other patterns like plaid.